Although there are so many driving institutions in London, Dhoot Driving School Bedfordshire is quite different from all the other centers. We have top rated trainers who have enough experience in driving as well as training. Even if you have never tried to drive a vehicle, these trainers will make you an expert within a short period of time. All our trainers are DSA approved. So, you can guarantee a high quality service. After joining here, getting a C1 – Licenseor D1 Minibus license will be pretty easy. We know there is a huge foreign population in Bedfordshire, London. If you are not so good at English, you can request for special classes in a particular language. We have expert trainers, who can speak almost all the important languages in the world. It is also possible to find a trainer who can speak Hindi, Kashmiri, and even Punjabi. The presence of these linguistic experts will make your PCV trainingeasy. They can guide you towards a good career in heavy goods vehicle driving. There are many important things to keep in mind, before selecting a career like this. 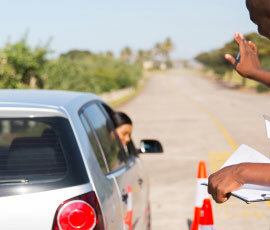 After joining in our Dhoot Driving School Bedfordshire, you will get to know everything. Being a driver is a great responsibility. Lives of many people are depended on your skills and concentration. So, getting adequate training from experienced experts is inevitable for the sake of a good driving career. You can always look forward to our assistance in any future issues that might arise. If you are not familiar with the great and vast opportunities and job vacancies in this particular field, then this is your time to do some serious research. The LGV (HGV) training program conducted by Dhoot Driving School Bedfordshire is extremely helpful for job seekers. It is extremely easy to find a job, after getting your C1 + E – License. According to recent studies, the vacancies for skilled heavy goods vehicle drivers are increasing dramatically. This sudden rise of demand also improved the status and salary scale ofC + E Truck & Trailer drivers.If you want to take license of C – up to 32 tones, you can drive any vehicles with a load under 32 tons.C1 + E – 7.5t and trailer is another good choice for those who want to establish a career in heavy vehicle driving. If you are not interested in transporting heavy goods, you can feel free to join in D Automatic Bus training. PCV or passenger carrying vehicle also needs an expert driver, who can transport people from one place to another safely. It requires a good trainer, to help you with PCV training.In this particular sector,many training programs are available.D1+E Minibus & Trailer, D Manual Coach, and D+E Coach and Trailer are some of them. These different categories represent different level of licenses. They are categorised according to the number of people per vehicle. You can always upgrade your license, after getting an ordinary one. If you are not fully satisfied with your performance on the road, you can use our Pass Protection facility. This will ensure 100% success during your test.PCV Pass Protection is a great advantage for people who need extra chances.You can re appear for the tests a number of times, even if you fail. Availability of refund options is one of the major benefits of using Dhoot Driving School Bedfordshire. CPC is the short form of certificate of professional competence. You can seek the help of our Driver CPC training service. These certificates are mandatory, if you want to establish a career in heavy goods vehicles. Our CPC driver training includes many different programs. We can also help you with driver CPC modules. The driver CPC module 4 and 2 is pretty hard, so we can provide all the help that you might need in this matter. Many people are still confused about being a driver. You can contact us to remove any kind of doubts regarding this matter. Our driver CPC training program will help you to attain certificate of professional competence easily. We are using special CPC case studyand CPC theory testfor evaluating your progress. You will be able to assess your faults and change them in to success mantras. 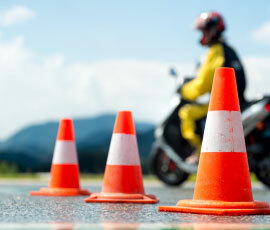 You can never find a better training institute than Dhoot Driving School Bedfordshire. There are lots and lots of opportunities out there in UK for you. All you need to do is open your eyes and get one, using our short term training programs. Driving is an easy, reputed, and well paid job you can find.